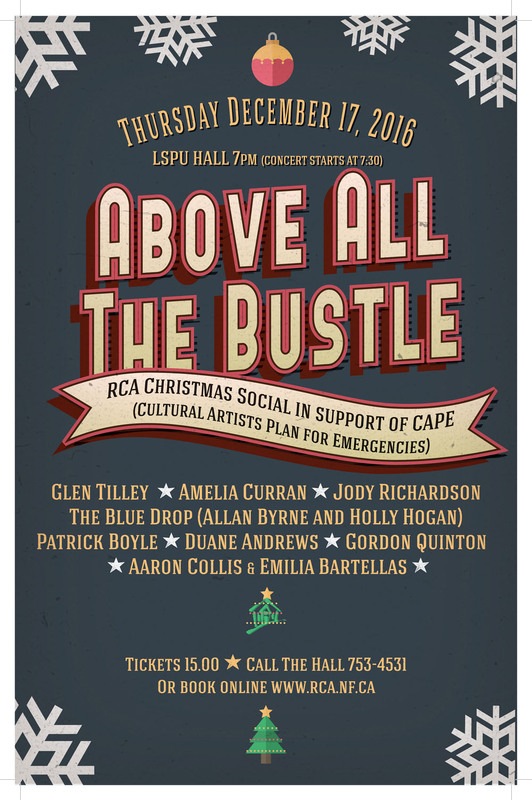 The Resource Centre for the Arts presents a special Christmas social in support of the Cultural Artists Plan for Emergencies (CAPE). On Thursday, December 17, at 7pm (Concert starts at 7:30) in the historic LSPU Hall, join the incomparable MC Glen Tilley as he introduces some of St. John’s best and brightest musicians. 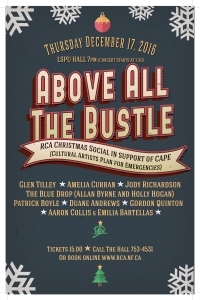 Enjoy the music of Amelia Curran, Jody Richardson, The Blue Drop, Patrick Boyle, Duane Andrews, Gordon Quinton, Aaron Collis & Emilia Bartellas. 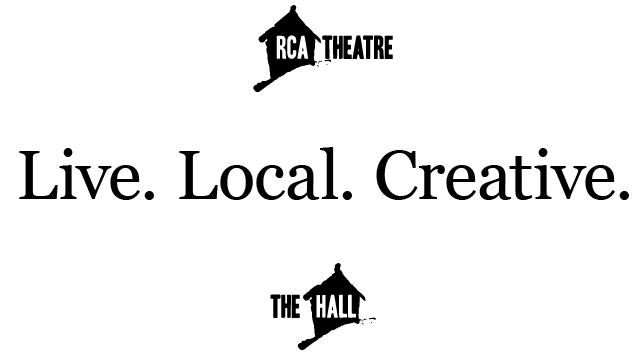 Tickets are just $15 with all proceeds going to the Cultural Artists Plan for Emergencies, a special fund for artists experiencing exceptional emergencies or crises. A great show, and even greater charity!